Well into this winter it’s easier than you think to thrive and not just survive. I shared my winter must haves across Canada this January. Here are the segments. November 2018 had Maureen traveling across Canada sharing gift ideas for the whole family that will create not only holiday memories but fun times together throughout the year! 1) Sleep – Getting back into the school time bedtime before back to school will help everyone get back in the routine more easily. Moving bedtime back a few minutes every night helps make it easier to adjust back to an earlier bedtime. Making sure everyone has a comfortable mattress will keep them in their own beds through the night, giving everyone a better start to the day. 2) Schedule – Summer is full of fun and we tend to be on a very different schedule than in the school year. Start to look at the fall calendar and get your kids involved in the things they can help out with like making their own lunches and packing their snacks and water bottle. Having good choices for lunch and snack foods in labeled baskets makes it easy for kids to do it themselves. 3) Shop – Focus on what your kids really need for back to school, stick to the list and find deals on summer clothes on clearance for the perfect first day outfit. For example fall clothes are very tempting but they can wait until the weather gets cooler. 4) Save – Get that chores list back out and see how your kids can be active and earn those pricier items they “must have”. If there is a new pair of shoes, an above budget back pack or maybe a new laptop, kids can help out around the house and earn those “nice to have” items. 5) Smart – Get everything you need, stick to your budget and why use some of your points for back to school items or earn points too that you can use in the future, holiday season is coming soon! Maybe even get yourself a little something fun, parents deserve it! TORONTO, ON­ – Many health-conscious Canadians detox the body with organic foods, juice cleanses, and clean eating, but fewer realize that it is equally important to detox the home. There are thousands of chemicals of concern found in many products in and around the home. This means that most people are exposed daily to harmful toxins that have suspected links to cancer, birth defects and asthma. Seventh Generation, a leading North American brand of environmentally responsible household and personal care products, is announcing a new collaboration with parenting expert Maureen Dennis to encourage Canadians to detoxify the air, surfaces, and materials in their living spaces. A mom of four, Dennis knows a thing or two about finding effective and affordable ways to create a healthy and happy living environment. 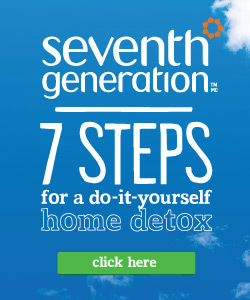 Working closely with Seventh Generation, she’s established a series of educational and easy tips to help detoxify the home by eliminating harmful toxins. The tips, which are also recommended by Environmental Defence (Canada’s most effective environmental action organization) can be used by the whole family to lead a cleaner, greener life. Furthering their commitment to building a toxin-free generation, Seventh Generation will donate $0.50 per unit sold of any Seventh Generation product to Environmental Defence from today (April 24) through May 31, up to a total of $10,000. The partnership is fitting, as Seventh Generation was created to inspire a revolution to nurture the health of the next seven generations, by providing busy families with plant based, value-driven cleaning and baby care products. Environmental Defence, the organization that successfully advocated the banning of BPA in baby bottles and phthalates in children’s toys, educates Canadians about cancer-causing and hormone-disrupting chemicals they are exposed to every day. This year, shake up your standard spring cleaning, detox your home by finding and fighting toxins, 7 STEPS FOR A DIY HOME DETOX. For more tips and recommendations from Maureen Dennis, visit www.seventhgeneration.ca. For research and information from Environmental Defence, visit www.environmentaldefence.ca. Established in 1988, in Burlington, Vermont, Seventh Generation is one of the North America’s leading brands of household, baby, lifestyle and personal care products. The company lives its commitment to “caring today for seven generations of tomorrows,” by creating revolutionary product solutions that build new ways of caring for ourselves and the world around us. A pioneer in corporate responsibility, Seventh Generation continually evaluates ways to reduce its environmental impact, increase product performance and safety, and create a more sustainable supply chain. Products are the vehicle, but far-reaching, genuine change is the mission. To learn more about Seventh Generation products and business practices, or review Seventh Generation‘s Corporate Consciousness Report, visit www.seventhgeneration.ca. I was asked to join top bloggers She Takes On the World Natalie MacNeil and Hopscotch the Globe’s Kristen Sarah for a chat with hosts and fellow bloggers Lainey and Jess. Toronto, ON (February 17, 2014) –Children are our most precious cargo, but when parents don’t know proper car seat safety procedures, they put their children’s lives at risk on the roads. 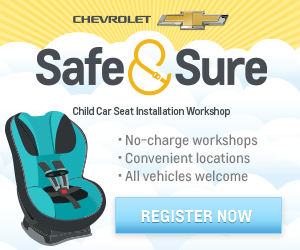 That is why Chevrolet is launching the national Safe and Sure Child Car Seat Installation Workshop Program, offering families expert advice on installing car seats into any make or model of vehicle for free. Families and caregivers can sign up for the free workshops at www.safeandsure.ca. Sessions will begin at Chevrolet dealerships in Vancouver and Toronto in April 2014. Dealerships in Montreal will begin offering the workshops in late spring 2014. No matter what vehicle you drive, or the type of car seat you own, parents and caregivers can register online now for their free expert consultation. Chevrolet’s car seat installation workshops were piloted in Toronto during 2012 and 2013. The workshops received such overwhelmingly positive response from parents, grandparents, expectant parents and caregivers that Chevrolet is working with Parachute to now offer this program in three major cities. I have been connecting parents with the tools to have a baby and a life since 2004. 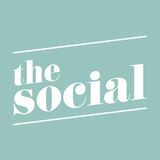 I share my tips and favourite products here in my blog, on social media as well as on TV and radio in Canada and the United States.